Registration 15th Int. Docomomo Conference Open! 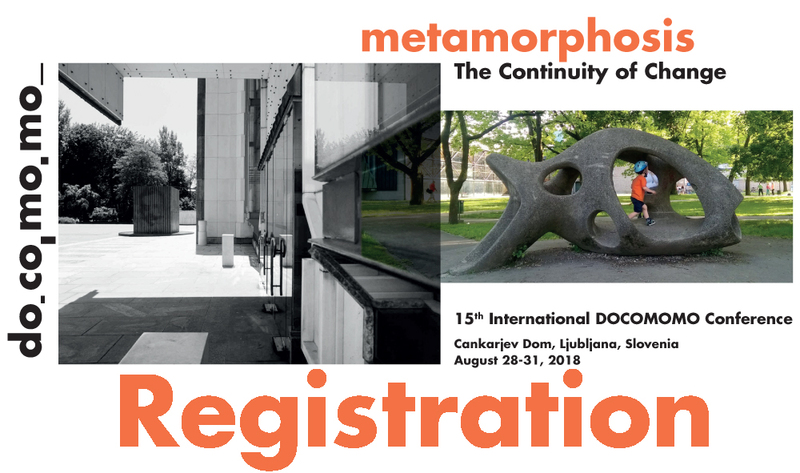 Docomomo International and Docomomo Slovenia informs that the registration for the 15th International Docomomo Conference – Metamorphosis. The Continuity of Change – is now open at http://www.docomomo2018.si/index.php/registration-and-fees! Authors must register before 31st January. The early fee deadline for attendees is 30th March 2018. We are looking forward to see you in the Cankarjev Dom, Ljubljana, Slovenia, between 28th and 31st August 2018!